Kaushik Logistics Packers and Movers in Hyderabad are well known packers & movers service Provider Company in Hyderabad, They provide excellent packing and moving services. We are the regular, consistent packers movers agency in Hyderabad, India in addition to we'll get out of the packing and moving manufactured goods and equipment with greatest care and transport on time. It has been so long that we have properly established ourselves as one of the topmost packers and movers in Hyderabad. From the past one decades, we have managed to maintain our reputation by moving countless number of households within the Hyderabad and outside as well. Having such a vast experience in this business, we very well understand that every person has totally different relocation needs. Thus, we try our level best to fulfill each and every customers demands so that they enjoy a safe and smooth shifting of their goods. With the help of our professional and well-trained team who put all their effort, hard work, dedication and commitment to make your shifting hassle-free, we've got been able to make loyal clients. When you with your family, it is imperative for you to look for a packers and movers in Hyderabad is the company that provides reliable and affordable services, say Kaushik Logistics Packers and Movers. Irrespective of whether you move during a large bungalow or small residences, we can make it look very easy. Especially when you are moving your office it requires extensive care because the assets are valuable. Kaushik Logistics Packers and Movers Hyderabad provides you with superior quality services moving services. Our work area is not just confined to Telangana but we also provide you with long-distance realocation across several states of India. In case, you are looking to move and require the services of movers and packers Hyderabad, then call customer support of Kaushik Logistics Packers and Movers in Hyderabad and make shifting your abode or offices more convenient. We provide varied range of services from car carrier service, moving good service, domestic and international packing and moving service, domestic and International moving services at affordable cost with utter convenience. So, in case you are looking to relocate to anywhere in the Hyderabad, Telangana, Just give a call to the Kaushik Logistics Packers and Movers. Packers and Movers in Hyderabad would ensure the safe shifting of all your expensive furniture, plants, pets, home appliances, other electronic equipment. You just need to make a call us our you can even write an email to us. Our customer care executive would understand your requirement and further send it to the sales team, they might visit to your location and examine the goods you would like to send they will takes the date of shifting and would share with you the price quotation in next three hours. The whole process we follow is very simple, and in no time you would get the fixed price chart from us. Make a call and justify your packing and moving requirement to us, and experience our world class service. Kaushik Logistics Packers and Movers is the perfect solution for you, where you are welcome to share packing and moving requirement. Once you hired us to assist your shift, it becomes our responsibility that you simply get the proper solution from us. If we say that we have all the resources to make sure that you get a perfect shifting solution whenever you are moving anywhere in Hyderabad, it means that we have our associates in all the important locations of the Hyderabad, they take care of the unloading work and other warehouse related work there. When you move to a long distance, and you have any type of vehicle, it is always advisable that you just take that hire a packing and moving company to deliver that vehicle to your new location as if you have got to relocate to a new location that 800 km away from your current location, than driving the same is not a good plan, shifting is itself a very exhausting work and if you have to drive your own, and need to cover this much of distance, it may drain you and might live you unwell. If you hire our car shifting service, we assure you that we use fine quality wrapping sheet, to make sure that your car remain scratch free in the entire journey, not only this we have specially designed vehicle to carry the car or different kinds of vehicle. Kaushik Logistics Packers and Movers in Hyderabad @ rates of packers and movers in Hyderabad, local packers and movers in Hyderabad, Hyderabad movers packers company, packers and movers Hyderabad price list, household packers and movers in Hyderabad, prices of movers and packers in Hyderabad, home relocation services in Hyderabad, transport for shifting house in Hyderabad, movers and packers in Hyderabad, packers and movers for local shifting in Hyderabad, Loading unloading Hyderabad. 1. Fill the Quick Query Form: In order to get free quotes for your next move, fill the form properly with required details and send it online. 2. Free Relocation Estimates: Once you fill the query form and send it online, you will receive free quotes from Kaushik Logistics Packers and Movers in Pune. They'll contend to supply you the simplest quotes to your specific relocating desires. 3. Compare & Evaluate Quotes: You have free quotes of top rated packers and movers company of Pune. Now it's time to create the final decision and choose the correct packing and moving services providing company. Compare the quotes rigorously. Decide what services truly you wish. Rely on your budget. Then make judicial decision to select the best out there one which will perfectly and cleanly match all of your relocating desires at the scale of your pocket. When you look for packers and movers in Hyderabad what should be your first concern? You should make use of a professional and try and true moving companies near your area in Hyderabad. The normal back-up to secure packers and movers near your region is that they can give you more affordable moving companies, as a result of their lower going to and transportation charges. Alongside this, you can visit the work environment in case of an issue. Every one riches quality progress benefit, it doesn't know each time you get it, yet rather you can construct your plausibility of getting the right one. There are plenty of best packers and movers in Hyderabad from each zone of the city. Kaushik Logistics Packers and Movers has done the pre-check for you and made a rundown of best packers and movers Hyderabad. Here you will find moving companies for the locality, intercity and prevalent movement. They are giving their services to different development necessities, for instance, home moving services in Hyderabad, office relocation services in Hyderabad, neighbourhood household items moving services in Hyderabad, Vehicle Transportation services in Hyderabad, showroom moving services in Hyderabad, corporate and industry relocation solutions as well as Truck Rental Services in Hyderabad. Through and by you can ensure more affordable and more secure squeezing and moving companies Hyderabad every time, without thinking about genuinely of your relocation organization. You have to turn around only a private thing, just to distinguish various moving charges and their offered services. 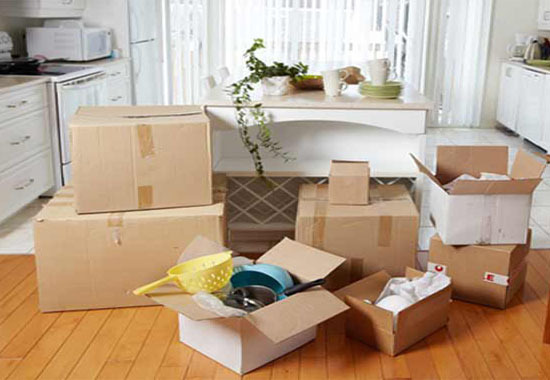 Place your need once and 3-5 most reliable movers and packers in Hyderabad will be instructed for your reason. Kaushik Logistics Packers and Movers has all the necessary resources to make your move comfortable and enjoyable. 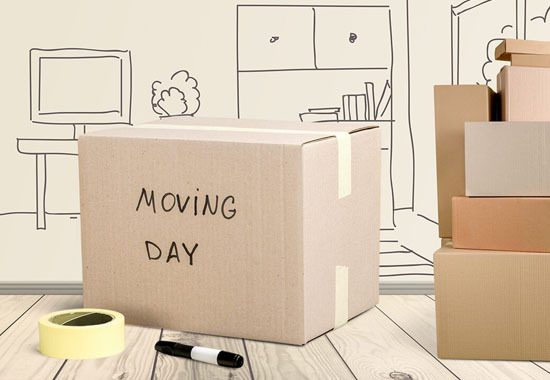 If you are planning to move to a new location in Hyderabad or any other city we are always there to make your moving process easier through the different packers and movers services available on our portal in Hyderabad. Our primary goal is to connect everybody who needs help while relocating with reputed and reliable shifting organizations. we not only assist you to move your room stuff but also offers Movers and Packers services that assist you with a big work, residential stuff too. The shifting services are also well equipped to shift industrial equipment like manufacturing machines etc. Whether you want to move locally or outside in Hyderabad, we make the entire process easier for you by helping you find the right packers and movers in Hyderabad that suits your shifting needs. A simple form on our website would help you get a number of quotations from the top movers and packers in Hyderabad. You will save time and money when you connect Kaushik Logistics Packers and Movers. Initially, start with briefing your relocation plan like what are your requirements, about location, what kind of packers and movers you want to our team. They will analyze your needs and brings the list of best packaging and moving company in a short time frame. Even you can switch to generate the quote and ask the moving companies which you like to hire for estimate charges. Within minutes, they will respond back, after that compares the prices and hire the moving company. Once you hire them they will take the charge of your relocation. Never overstuff any of your bags: Though it is very important to fill all the boxes properl right till the top of it , as it save your goods to get crushed. But make sure that you never overstuff the content into it as your box might get ruined or it might tear up. Make sure to pack heavy goods first: We are agree that everybody do this , they pack heavy goods first and later the soft weighted products. We also suggest you to pack your heavy goods first into the box and then place your light weighted goods. 1. Serving their clients from last 10 years, with a motto to serve the clients with excellence. 2. Our organization has their associates in all the major cities of the country, so if you are planning to shift to another state than Kaushik Logistics Packers and Movers is the best solution for you. 3. We do all types of shifting that includes household shifting hyderabad, corporate shifting hyderabad, pet shifting hyderabad etc. 4. Kaushik Logistics Packers and Movers also provides transportation services, where the clients can hire the trucks for commercial use. We packers movers their own trucks while relocating the clients good. 5. We Movers and Packers Hyderabad have our own customer care department which is available 24X7 to serve you. 6. We offer customized services to our clients which suits to their budget. Note: Given valuation is just an estimation you'll consider for general shifting. Final cost accounting could disagree relying upon quantity of products, variety of goods, service quality and whole of your mover. Kaushik Logistics Packers and Movers is not only limited to just Hyderabad area but also provides assistance for Home Shifting Services in Mumbai, Pune, Noida, Delhi, Chennai, Bangalore, Kolkata, Vizag and many other cities in the country. We as a company take pride in giving flexible moving solutions which can be customized as per what the customer wants. Our years of experience in the industry has helped us deliver more efficient and creative ways of handling logistics service requests that brings out the best shifting solutions. Banjara Hills, Hitech City, Jubilee Hills, Madhapur, Kondapur, Gachibowli, Chanda Nagar, Nallagandla, Lingampally, Kukatpally, Sainikpuri, Miyapur, Secunderabad, Bowenpally, Langar Houz, Cherlapally and many other localities along with the major nearby cities like Bangalore, Chennai, Vizag, Mumbai, Pune and many more.